I have always looked to Nordstrom to find the best gifts for men. As I have mentioned in the past, Nordstrom has been my go-to destination for women’s fashion, so it makes perfect sense they are as well for men’s fashion. Gift giving for guys doesn’t have to be difficult, that’s why I always look to Nordstrom for stress-free shopping. 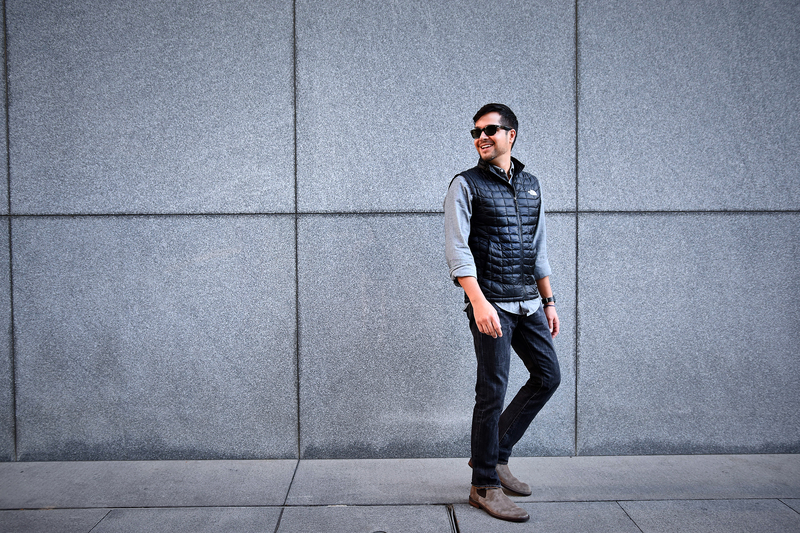 I know how much Karl lives in vests during this time of year, so The North Face vest was a perfect item I knew his closet needed. It’s a great versatile piece to have for layering over button up shirts, or casual t-shirts on the weekends. It’s very lightweight and the high-tech insulation helps to keep in warmth – which makes this the perfect gift your guy will love for the season.